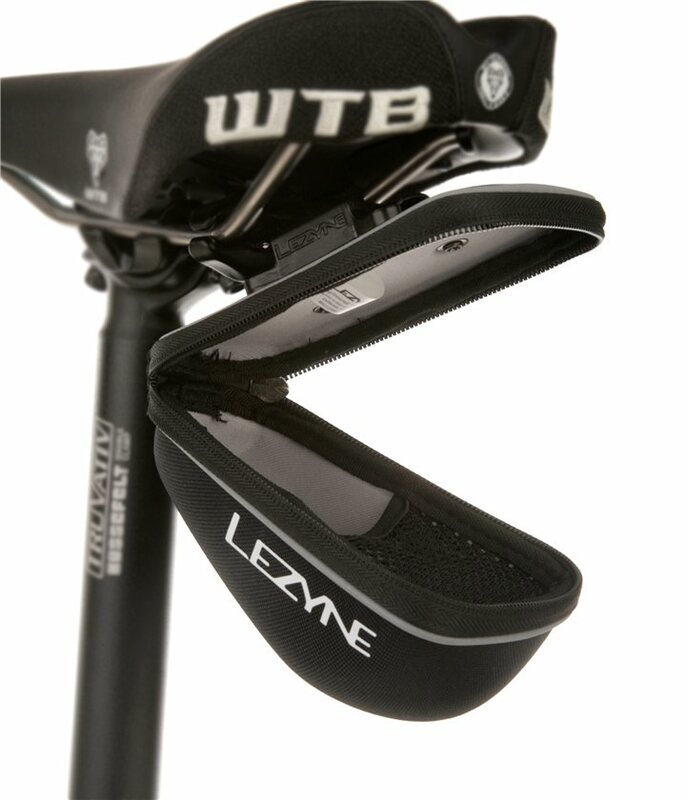 The Lezyne Pod Caddy is perfect for carrying your flat kit, tools, wallet, and any other important small items that you may need on the road. The Pod Caddy is made from semi-rigid EVA foam and features a weatherproof zipper to protect your gear from Mother Nature. The Caddy's main compartment features a mesh divider for organizing things like patch kits and money and a clamshell pod design that offers easy access to all of your stuff. Saddle bag is perfect size to carry the basics needed. I like the fact it doesn't connect to the seat post so i can even use it with my dropper seat. Quick release is very easy to use unlike some of the other bags I have used before. I love the look of this bag. I was after a saddle bag that would fasten to the seat rails and this one does exactly that. I ordered the small and medium planning on returning one of them. The small was entirely too small - the medium seems perfect. Seriously, you'd be hard pressed to put a bag of Skittles in the small bag. The medium (barely) fits a tube, patch kit, two tire levers, two CO2 cartridges, and an adapter. That's it, no more room. Bag seems solid on the seat, we'll see this summer when it's off the trainer. 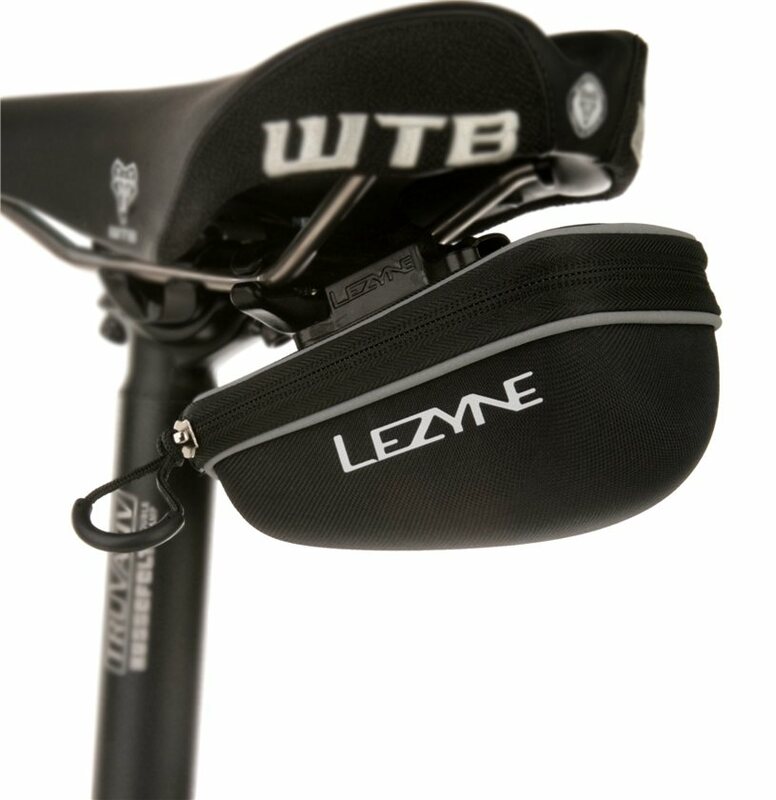 This saddle bag is perfect for a carbon frame. It attaches to the rails and doesn't touch anything on the bike to mess with the finish. It was also bigger than expected and holds everything needed for road repairs.